Analysis: Landry showcased his ability to get to the quarterback again in Week 17 and closed his rookie campaign with 4.5 sacks. Though he was limited to only 44 tackles overall, he'll have the chance to make a bigger impact in his second season as a pro. That will result from his chance to progress both physically and mentally, as well as veteran Brian Orakpo's retirement, which clears the way for Landry to see the field more regularly. Analysis: Landry got to the quarterback for the first time since Week 12 despite seeing a season-low 10 snaps. He now has 3.5 sacks on the campaign, a good effort for his rookie season. Landry could be set for an increased role heading into 2019 with Derrick Morgan set to hit free agency. 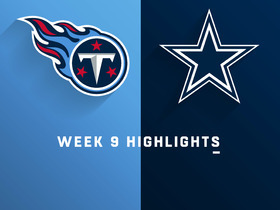 Analysis: Landry bounced off two blockers to record a key sack that forced the Cowboys to punt midway through the fourth quarter. He now has two sacks for the season. However, he remains mostly a pass-rushing specialist, as he has failed to record more than four tackles in a game this season. Analysis: Landry had an impactful first career sack, stripping Carson Wentz of the ball early in the fourth quarter. 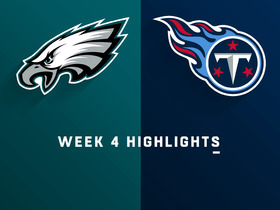 That led to a Titans field goal and served as an important turning point in the team's Week 4 victory. Landry hasn't been on the field frequently -- he had just 27 and 35 snaps in Weeks 2 and 3 respectively -- but has shown the ability to get to the quarterback even in limited opportunity. Analysis: Landry was a full participant in practice earlier this week after sitting out Week 1. He'll operate as a backup in his regular season debut. Analysis: Landry logged his first full practice since spraining his ankle in the Titan's third preseason game. The 2018 second-rounder is still questionable to suit up against the Texans on Sunday, given the amount of practice he's missed. However, Landry is trending towards making his NFL debut in the near future. Landry was a non-participant in Wednesday's practice. 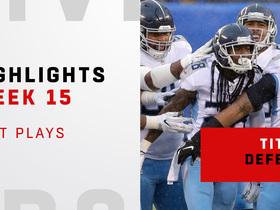 Analysis: Landry was held out of the Titans' season opener due to his ankle injury and has yet to practice in full since spraining his ankle in the team's third preseason game. The 2018 second-rounder seems likely to sit out Tennessee's matchup against the Texans on Sunday. Landry (ankle) has been ruled out for Sunday's season opener against the Dolphins, Jim Wyatt of the Titans' official site reports. Analysis: Landry's absence hardly comes as a surprise given that he was held out of Thursday's practice after being limited Wednesday. The linebacker is yet to put together a full practice since spraining his ankle in the team's third preseason game. Landry (ankle) did not participate in Thursday's practice, Jim Wyatt of the Titans' official site reports. Analysis: Landry was reigned in after managing to practice in limited fashion Wednesday. The 2018 second-rounder still has not practiced fully since suffering a mid/high-ankle sprain in Tennessee's third preseason game against the Steelers, and Landry remains a long shot to suit up for Sunday's season opener against the Dolphins. Landry (ankle) was a limited participant in Wednesday's practice, Jim Wyatt of the Titans' official site reports. Analysis: Landry suffered a mid/high-ankle sprain in the Titans' third preseason game against the Steelers and has not fully participated in practice since. The 2018 second-rounder seems increasingly likely to sit out Sunday's season-opener against the Dolphins but is still expected to see a significant amount of playing time at outside linebacker once healthy. Landry (ankle) is questionable to suit up Week 1, Tom Pelissero of NFL.com reports. Analysis: Landry reportedly received a second opinion on his ankle injury and was diagnosed with a mid/high-ankle sprain, meaning that the second-round rookie has avoided serious damage to his joint. 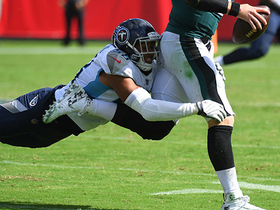 Landry's recovery timeline remains unconfirmed, but this is good news for a Titans defensive squad which expects the 22-year-old to play a significant role this season. Landry (ankle) was seen walking without a boot Tuesday, Turron Davenport of ESPN.com reports. Analysis: Landry suffered the ankle injury in Saturday's preseason game against the Steelers, and while there is still no update on his timetable, the absence of a boot is surely encouraging. 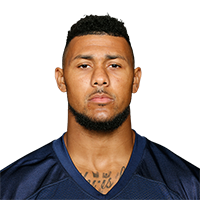 Landry was a second-round pick for the Titans this year and is expected to play a key role at outside linebacker as rookie. Landry is officially questionable to return to Saturday's preseason game against the Steelers due to an ankle injury, Travis Haney of The Athletic Nashville reports. Analysis: Haney notes that even the questionable designation likely means the second -round pick will sit out the remainder to ensure he doesn't do any further damage. When healthy, Landry is expected to challenge for playing time at outside linebacker during his rookie season, coming off an NCAA-leading 16.5-sack campaign in 2017. 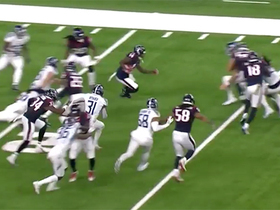 Houston Texans wide receiver DeAndre Carter nearly breaks loose on a shifty punt return. 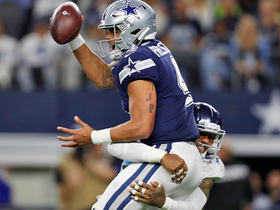 Tennessee Titans linebacker Harold Landry surges through the Dallas Cowboys offensive line for a key third-down sack.